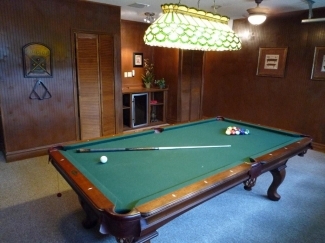 Luxuriously furnished 5 bedroom ,4 bathroom villa which sleeps 10.Fantastic games room with full sized pool table and bar area with it's own wine fridge. 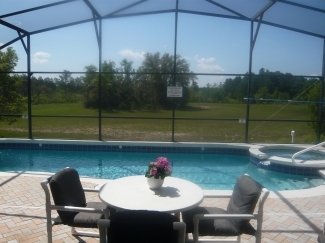 The pool and Jacuzzi are south facing which is ideal for the Florida sun if you want to sun bath all day.The shaded seating area also gives a quiet area to eat and take some resbite from the sun. 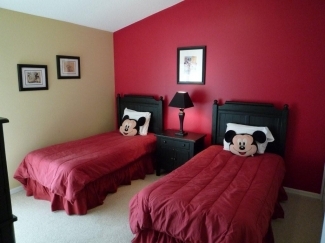 Heated pool and jacuzzi(heat optional extra)means you can relax after a long day at Disney which is only 10 min. drive away. 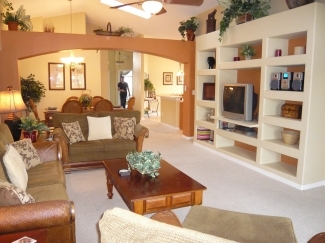 To see a virtual tour of our property please click here.